A good litmus test for any such company in question is to ask them for examples of past successes of inventors and their inventions. If they can't supply this information, then run the opposite way as fast as you can. If they supply this information, and the list doesn't check out, then run the opposite way even faster." Advice from Derrick James on his website DLJ Innovations LLC. Vern Burkhardt (VB): You founded DLJ Innovations LLC in 2007. What services did you provide until you recently joined Esterline Technologies Corporation? Were you a product development company? Derrick James: I provided product development and six sigma contracting and consultation services. From a product development standpoint, I offered computer aided design and finite element analysis. Although standard engineering drawings are done in 2 dimensions, those drawings are typically based on 3-dimensional models. Human beings naturally see things in 3-dimensions so creating a 3-D model is much easier to visualize. I use a program called SOLIDWORKS to create the 3-dimensional models. 3-D models are also useful in creating physical prototypes. When you take a virtual 3-D model and convert it into a physical prototype by virtue of a 3-D printer, you take it a step further not only by being able to visualize the product better, but also by being able to touch and feel it. From an analysis standpoint, you can take a 3-D model and create a finite element model which allows you to apply loads or forces and constraints or supports to it in order to determine mathematically how it will respond. From a six sigma stand point I offered services such as failure modes and effects analysis (FMEA), regression analysis, measurement system analysis (MSA or Gage R&R), design of experiments, and a host of other statistical analysis services. I used a program called MINITAB for the statistical analysis. VB: Are you still providing services through DLJ Innovations LLC? Derrick James: I am actively seeking work through my business during my personal time. I still have the same software, so I still offer the same services. However, at this time, I have two restrictions. I am no longer available during normal business hours as I am employed full time, and I must avoid any conflicts of interest by avoiding any and all business opportunities that compete with any Esterline business which is predominately aerospace, defense, and medical. Who knows, maybe if things took off I'd be able to do it again full time someday. VB: Do you consider yourself to be an inventor? Derrick James: Absolutely. I love to invent new things. I am an inventor at heart. My ultimate career goal is be a serial independent inventor. I'd like to crank out one invention after another. Some would be under the DLJ Innovations brand. I'd like to mirror the career of Stanley I. Mason, author of Inventing Small Products, who was such a successful inventor that companies sought him out to invent some of their products. I am part of an online inventors community called Edison Nation. Edison Nation partners with major companies to host live product searches open to members of its inventor community. So far, I have not had one of my product ideas get selected for commercialization but I think it's just a matter of time. I love submitting ideas through Edison Nation. VB: What led to your interest in innovation? Derrick James: From my childhood, I've always enjoyed making something new out of existing materials. I remember, as a child, taking a bunch of old nuts and bolts and making a robot out of them. I love to come up with new ways to use existing materials. My educational and professional background as a mechanical engineer reinforces my natural inclination toward innovation. VB: Are you by nature creative? Derrick James: Yes, I believe that I have a vivid imagination and see things differently than most others. I try to leverage this trait in my design work. I like to learn not only about new technologies, but also new ways to apply existing technologies. I often go to hardware stores, or big box stores just to look at the products and imagine how these products can be reinvented. I tell my wife that I am going out to ideate and she knows exactly what I mean. VB: What do you do when you are facing a challenge which requires you to come up with breakthrough ideas? Derrick James: I try to quickly understand what's been done before from a historical standpoint, and what's being done now to address the challenge. I try to benchmark competitors to see what they are doing to address the challenge. I also try to learn how industries completely different than the one I work in address similar challenges. I even look to nature for inspiration to learn how it addresses problems. There is a term for looking to nature for design inspiration. It's called biomimetics or sometimes bionics. For example, Velcro was invented by examining a cockle burr under a microscope to learn the secret of its phenomenal ability to cling to clothing and hair. VB: What tips do you have for our readers who would like to increase their creative abilites? Derrick James: Relearn how to think like a child. Children are not hindered by the same constraints as adults. Children use their imagination without limit. Adults tend to think that others will make fun of them for coming up with wild and crazy ideas. Sometimes adults use logic and reason too early in the process of trying to create something new and thus limit breakthrough ideas. Also, you should brainstorm without evaluation. Come up with as many ideas as you can. The ideas can be evaluated later but not during the actual brainstorming session. Evaluation during brainstorming is a sure idea killer. VB: You took the Design for Six Sigma Black Belt training when you were with Textron. Would you describe the training program? Derrick James: The Six Sigma Black Belt training was all about equipping the individual with data-driven tools to make customer-focused, savvy business decisions. Textron had 3 different tracts of six sigma training: DMAIC (Define, Measure, Analyse, Improve, and Control), DFSS (Design for Six Sigma), and LEAN. Typically you focus on one of these tracks unless you are a master black belt which has expertise in all 3 methodologies. DMAIC was focused on reducing variation in the product, and the processes and services used to make and deliver them. DFSS, which was my focus, was all about driving innovation into new product development, with products designed for robustness and customer satisfaction. Finally, LEAN was all about driving out waste from processes such that the products were delivered in the most efficient manner. VB: What skills did you acquire as a result of becoming a Six Sigma Black Belt? Derrick James: As a six sigma black belt, you learn how to use statistics to make data driven decisions as opposed to relying on gut feel to make decisions. You also learn that product development must fulfill 3 key criteria. It must produce customer satisfaction. It must have a solid business case. And it must fit the overall strategy of the company. If it doesn't meet all three criteria, it probably won't be successful. VB: Will company likely be more profitable if it has employees who hold a Black Belt? Derrick James: Companies who have employees trained as black belts can be more profitable by streamlining their processes, ensuring that those processes consistently produce good products by reducing variation, and making certain that those products are designed to achieve ultimate customer satisfaction. VB: Would you talk about your product development experience, and some of the interesting projects you worked on? Derrick James: So far in my career, which consists of 16 years, I have worked in the paper machine industry, the tool design industry, and now the aerospace industry. Early in my career I was more focused on component design such as sizing tie rods to adequately support the paper machine frame during a cantilevered loading condition. Later on in my career I was responsible for designing tools used by electrical contractors. Some of the more interesting projects I've worked on were helping to design a new line of conduit bending machines, designing a drill-driven hydraulic punch driver, and collaborating with another engineer on designing a new line of premium job site storage boxes. Currently, I am working on data concentrator units and sensors for use on aircraft. In baseball terms, I have had a lot of singles and doubles with respect to the products I've designed, but I am still striving for that homerun product. VB: At DLJ Innovations you provided Finite Element Analysis? Would you tell us about this, and how it is beneficial for the product development process? Derrick James: Finite Element Analysis is a process in which you take a computer generated solid model of a product and break that solid model into a finite number of pieces called elements. The process of producing this finite element model is called meshing. Before meshing you first need to assign material properties. After meshing the model you apply loads to the model. These loads can be in the form of external forces, pressures, heat, or gravity. You also apply constraints to the model to tell the computer how the model is supported. It can be fully or partially constrained. You then run the analysis, and the computer goes through many iterations in which it calculates how much stress and deflection each element of the model experiences based on the material properties, loads, and constraints applied. Finally, you go through post processing where the computer generates plots of how the model behaves in terms of stress and deflections. Then the user interprets the results and makes decisions on how to change the model to achieve the desired design results. This analysis can be iterated as much as the user wants. It allows the user to tweak the design to minimize stress and deflection before a physical prototype is made, thus greatly reducing the time and expense of multiple iterative prototypes. VB: Someone once said being ISO certified inhibits innovation because of the emphasis on reducing variances in manufacturing or other business processes. Do you agree with this view? If you have a great product that is produced by processes that have wild variations, it will be very difficult for that product to be successful because the customer will never know what type quality they will get. Bad processes with high variation can foil the success of well-designed products. Imagine buying a light bulb made by a process with excessive variation, and getting home to find out that the bulb is the same size and wattage as the one you need to replace, but it won't fit because the metal base is just a little bit too big. Maybe the light bulb company was feeling particularly innovative that day and didn't want to be inhibited by process variation. Would you call that acceptable? VB: You have said, "I am passionate about achieving high levels of customer satisfaction with innovative new products and best in class service. I have a solid understanding of how to translate high-level customer needs into critical to satisfaction metrics. Whether it's providing six sigma and statistical services to my clients or designing my own products, it's all about the customer. If the customer is satisfied, they will keep coming back." Would you talk about this? Derrick James: I get a charge when I see a product that was designed in such a way that customers smile after using it, they develop a loyalty towards that brand because of it, and they recommend the brand to others. With my training as a Design for Six Sigma black belt, I feel that I understand how to achieve such responses from customers. Basically, you find out what needs or problems customers have. You determine whether or not you can meet those needs through your strategic company platform. You then establish a sound business case for the product or service. Once these things are in place, you go about the business of designing products using sound design principles. You use tools such as Quality Function Deployment (QFD) to take the findings from customer surveys, customer interviews, focus groups, and other sources of customer input to translate customer needs into measurable and prioritized critical to satisfaction (CTS) metrics. You take these prioritized CTS metrics and determine what product functions will meet those metrics. Then you design products to fulfill those functions. You use tools such as Pugh matrix analysis to select the best concept, which may end up being a hybrid of several concepts. You build prototypes to prove out the concepts, test them, and statistically analyze the results. Then you place the concepts in front of the customer and let them test them. When you have the design right you prove out your manufacturing processes to assure yourself that you can reliably produce the product. By the way, manufacturing needs to be involved during upfront concept development, and not just after everything has been fully designed. Finally, after proving your processes can produce the products reliably, you go into production and sell, sell, sell. Of course, this does not cover all of the steps necessary to produce winning products, but it's a good high-level overview. VB: What do you mean when you refer to "innovative new products." Derrick James: When I say innovative new products, I mean when the customers see the products for the first time they say, "cool" and, when they buy and use it for the first time, they say, "Wow, very cool!" These are products that are intuitive in nature, and when the user picks it up they have an innate feel for how useful it would be. The product doesn't necessarily have to use new technology. It may very well use existing technology in a new way to solve a problem. VB: What is your role at Esterline? Derrick James: I am a design engineer with responsibility for both new product development and sustaining – that is existing product maintenance. VB: Would you tell us a bit about Esterline Technologies Corporation? Derrick James: Esterline is an aerospace and defense company which is the parent company of several different product brands, such as AVISTA, Korry, Mason, and BVR. I work for the BVR Control Systems platform which focuses on motion control and avionics. VB: Is this a good fit for you given your drive for innovation? Derrick James: Honestly, I would have loved to remain independent, but I was not able to adequately support my family with the sporadic income that comes with being a new independent business owner. I miss it dearly, but it was not possible to continue. I was at it for 2 years but things were tough in this economy. I am wired to be an independent product developer and inventor, but short of that, Esterline is a good fit in that the position allows me to not only utilize my existing design skills, but also allows me to expand them into areas that I have not had much exposure to such as avionics. There will be plenty of opportunities to be innovative at Esterline as they are on a growth curve and have some exciting new programs on the docket. Perhaps someday I'll take another shot at being an independent product developer. VB: What are your favorite 3 books? VB: How do you keep current with advancements in the technologies relevant to your expertise? Derrick James: I love to watch TV shows on technology, such as "How it's made" and "How they do It" on the Science Channel, and "Modern Marvels" on the History Channel. I also read technology magazines such as Machine Design. Derrick James offers us many insights about product design. A Six Sigma Black Belt, an engineer, a passion for customer satisfaction, and a self-proclaimed inventor is a great combination. We look forward to following his successes with consumer based product development projects. 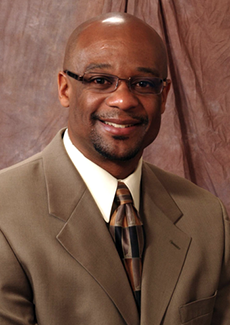 Derrick James holds a BS in Mechanical Engineering from the University of Wisconsin in Milwaukee (1995), and a BA from Beloit College (1995). He is also a certified Six Sigma Black Belt trained in the DFSS (Design for Six Sigma) methodology. He has been employed as a mechanical engineer in Corporate America for over 13 years. From 1996 to 1998 Derrick James worked in the paper-making machine industry working for the former Beloit Corporation, and from 1998 to 2009 in the electrical contractor tool design industry working for Greenlee Textron. While at Textron he earned his DFSS Black Belt in 2004. Derrick James is currently employed by Esterline Technologies Corporation. He is also the owner of DLJ Innovations LLC where he offers product design services other than for the aerospace, defense, and medical industries.